Raven-Symoné is ready to open up about her personal life. 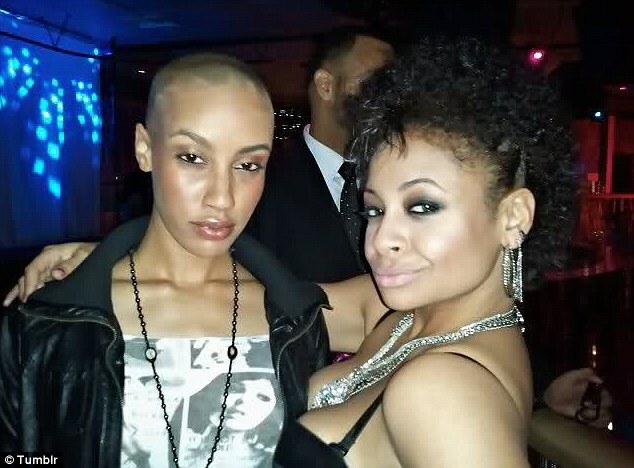 The That's So Raven actress has revealed that she is a lesbian with an enlightening and excited tweet on Friday. While she didn't expand on her bombshell statement on Twitter, Raven was referring to the US Supreme Court's decision to overturn the Defense of Marriage Act in June. She went on to tell E! News, 'I am very happy that gay marriage is opening up around the country and is being accepted. I was excited to hear today that more states legalized gay marriage. In May 2012, she addressed a National Enquirer story that she was living with her girlfriend, America's Next Top Model contestant AzMarie Livingston, in New York City by tweeting a cryptic message about the tabloid story. 'I'm living my PERSONAL life the way I'm happiest,' she told her then 350,000 followers. 'I'm not one, in my 25 year career to disclose who I'm dating. and I shall not start now. My sexual orientation is mine, and the person I'm datings to know. I'm not one for a public display of my life,' said the actress who played Olivia on The Crosby Show at age four. At the time, the That's So Raven star did not confirm or deny the allegations about dating AzMarie, who was known on the CW's modeling competition for her androgynous beauty that resembled her idol, Grace Jones.